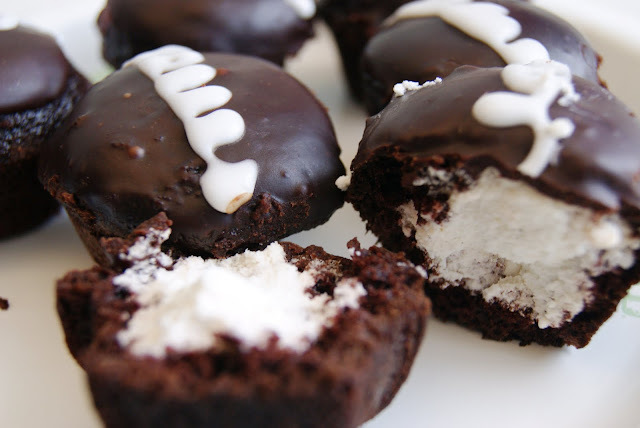 I was talking to the lovely and talented Sierra yesterday about what my next baking project should be and she suggested hostess cupcakes. She is also very smart. 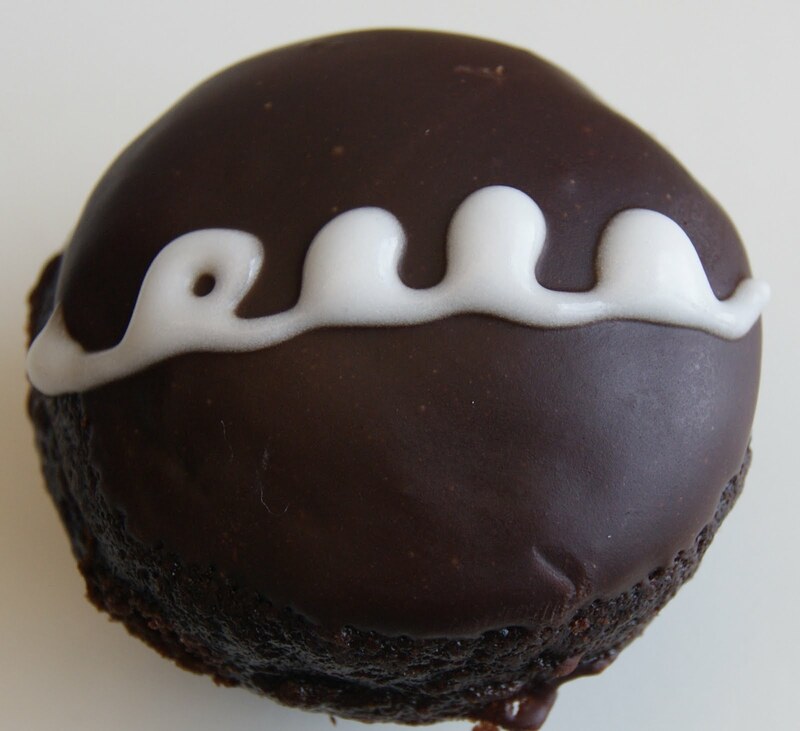 So here you are, my take on the Hostess cupcakes (little white squiggle and all). I started with a Devil's food cake from David Lebovitz. He is also responsible for my previous French Chocolate cake. So I knew this would be delicious. I decided to use mini-cupcakes because really, why use big cupcakes when you can use tiny ones and do twice the amount of finicky work. But it was worth it; mini-cupcakes are adorable. At least one of the cupcakes encountered issues upon removal and just broke right in half (how on Earth did that happen). So I had to eat it, oops. And the chocolate cake recipe did not disappoint. Super tasty. The filling is just whipped cream. I used my vanilla bean paste to make it extra pretty and delicious. I used a pastry bag to pipe it into each cupcake but you can also cut a little funnel out of the top of each cupcake, fill with cream and then replace before icing. 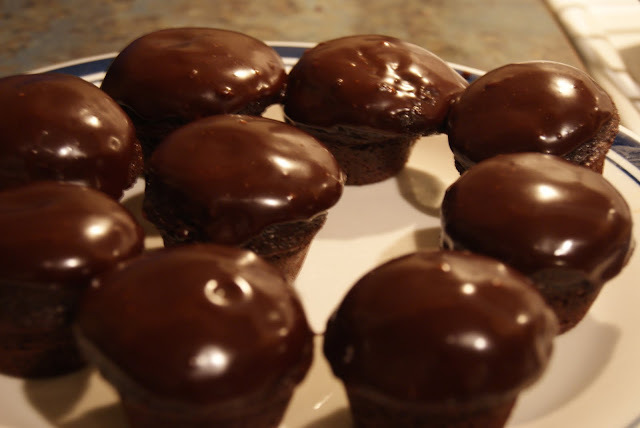 Icing the cupcakes is easiest if you hold the cupcake upside down and dip it into the chocolate ganache. Then swirl a couple of times around and let cool. My white frosting was a little thin and so it ran together. Add more powdered sugar for a crisper loop. I think that just the chocolate cupcake with the chocolate ganache would be amazing anyway, but not quite so cute and nostalgia-inducing. 2. Cream butter and sugar in an electric mixer. 3. Add eggs and mix until smooth. Add (cooled to room temp) coffee. 4. Mix in all the dry ingredients. 5. 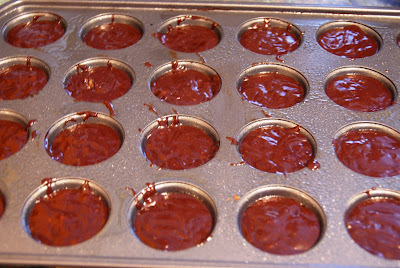 Spray a mini-muffin tin with cooking spray and fill each cup almost full with batter. 6. Bake 25 minutes. Cool completely. 1. 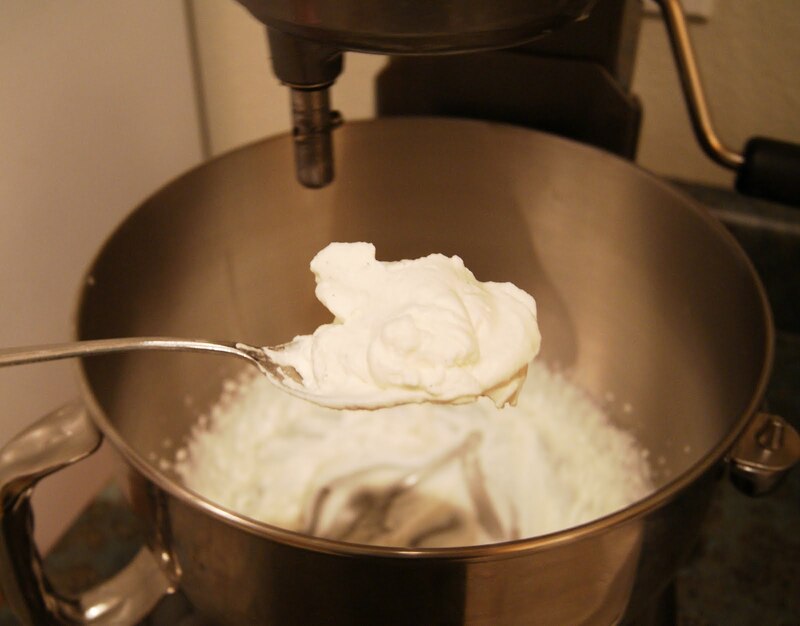 Beat cream, sugar and vanilla in a chilled bowl of an electric mixer until stiff. 2. Fill a pastry bag fitted with a small round tip with filling. 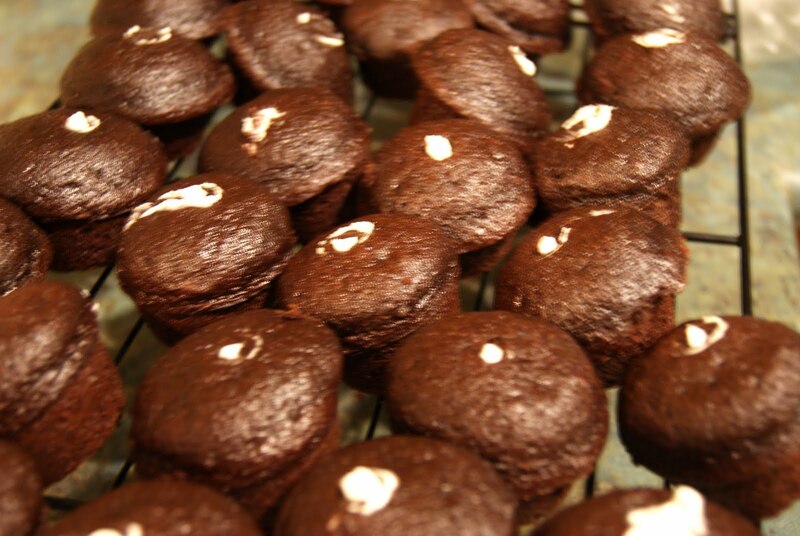 Stick the tip into the top of each cupcake and squeeze gently. Don't overfill or the cupcakes will split. Alternatively, cut out a small cone from the bottom, fill and replace. 1. 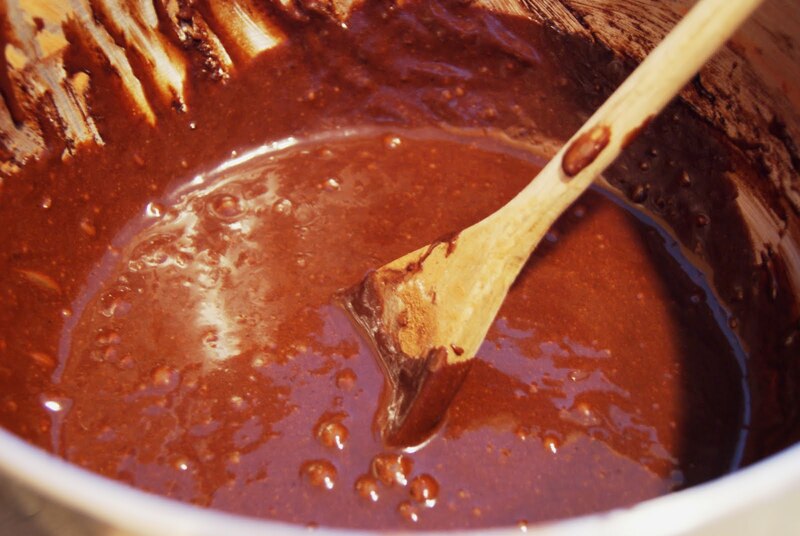 Mix chocolate, water and sugar in a sauce pan. Heat over med heat until chocolate is melted and mixture is smooth. 2. Remove from heat and add butter. Allow to cool until a bit set. 3. Take each cupcake and turn upside down. Dip into the ganache twirling the cupcake to coat. Remove from chocolate and twirl more, still upside down, to get an even coating. 4. Return cupcakes to the fridge. 1/2 plus 1/4 cup confectioners' sugar. 1. Whisk egg white until foamy. 2. Add cream of tartar and 1/2 cup sugar. 3. Keep adding sugar until you have a stiff and smooth icing. 4. 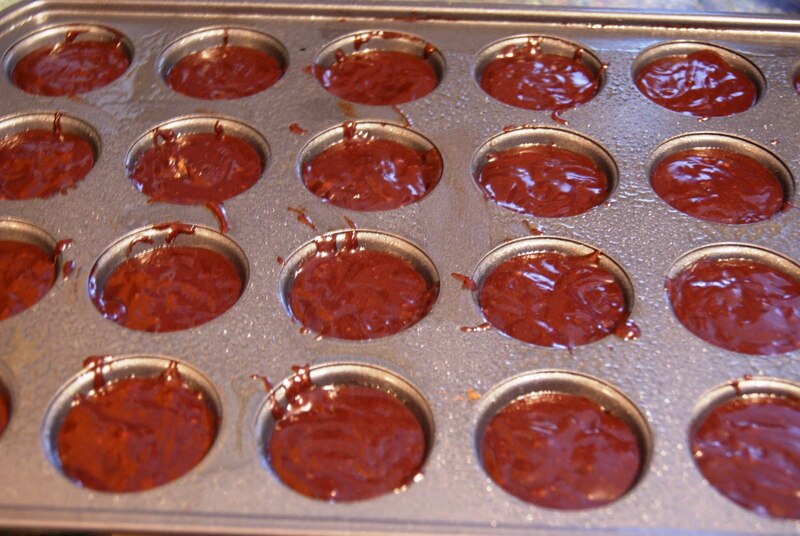 Fill a pastry bag with a small tip and pipe loops across the center of the cupcakes. 5. 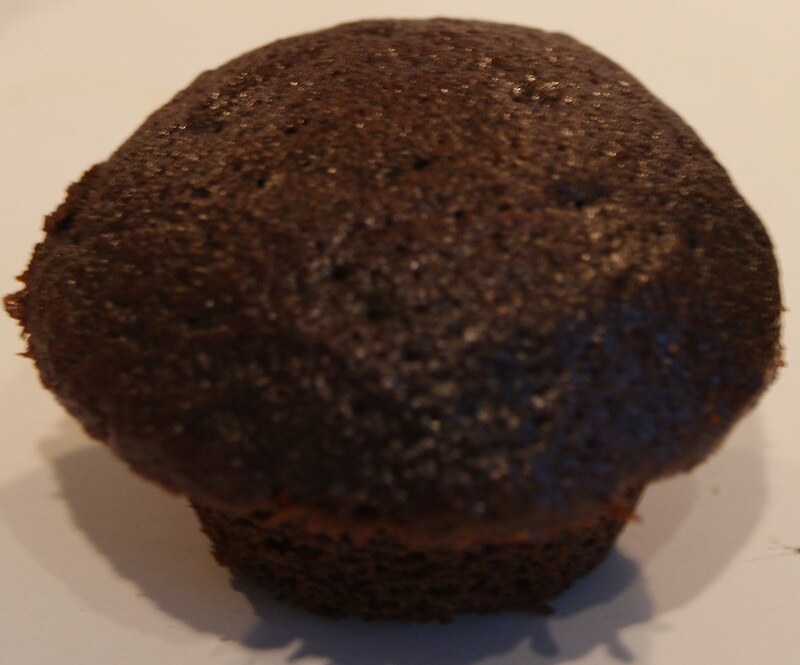 Serve cupcakes at room temperature but store in the refrigerator for up to 2 days. 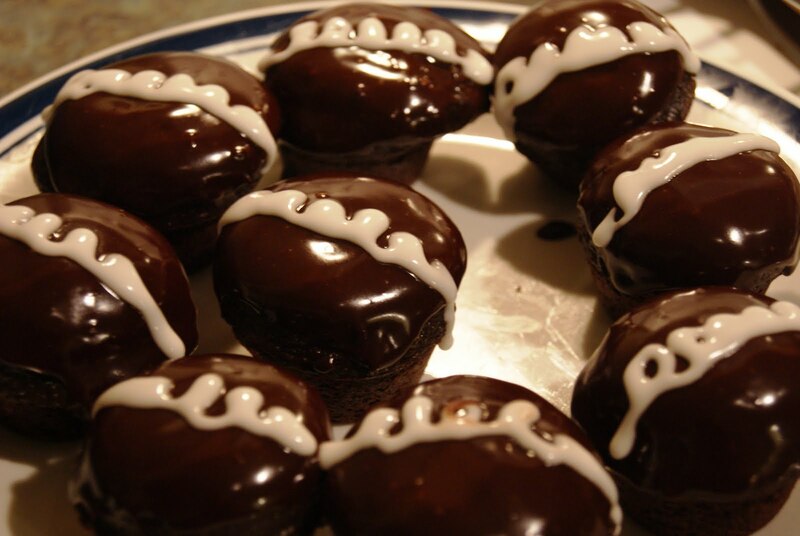 You should do a blind taste test with the original hostess cupcake. Why do I think that this will be much more delicious? Those look amazing! Thanks for sharing the recipe! I'd love for you to link up to Cupcake Tuesday next week! Love the look. Will take note of the recipe and make it myself. Thanks.. I made these as regular size cupcakes for my boyfriend's birthday, and he LOVED them!!! Last night he went to get the last one out of the fridge and dropped it, face down, on the floor! He almost started crying, that's how good these cupcakes are.lol Thanks! 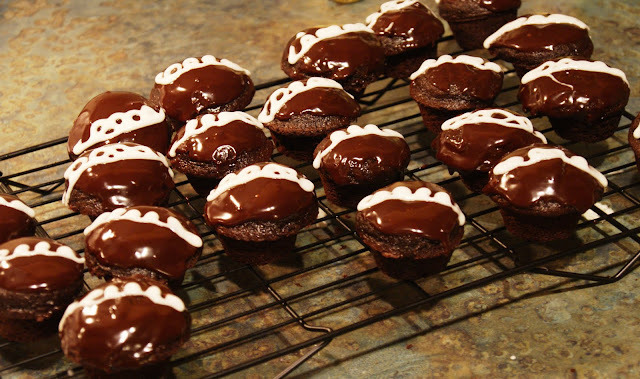 I am about to make them again in the mini form to make up for the cupcake casualty. That's very exciting (except for the cupcake casualty, always tragic). I love hearing people's successes with the recipes so thanks for sharing! I didn't know how to fill the cupcakes before but after reading what u have shared im really very interested to do it. thanks. Hai..im still new at baking.Could u pls tell me hw much coffee do i need to make that one cup n what kind of coffee do u use? Whats the different between granulated sugar n confectioners sugar? 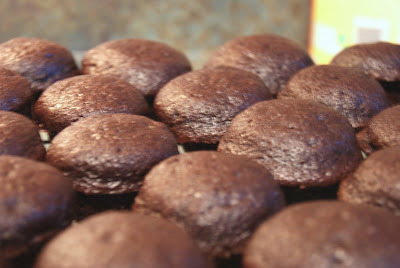 Mas - I get have a mini-cupcake/muffin pan, like this one: http://www.amazon.com/Bakers-Secret-Basics-Nonstick-24-Cup/dp/B00091PNE8. From Maldives - your cakes look amazing! I am very impressed and glad I could help out. I am not very good at the decorating aspect though. I'm sure I could learn something from you. New baker - I use a french press, so about 4 tablespoons of coffee for 1 cup of water. Really any kind of coffee will work. You can also get instant coffee and follow the directions. Granulated sugar is the standard white sugar: http://www.thenibble.com/REVIEWS/main/honey/images/sugar-230-2.jpg. Confectioners sugar is also called powdered sugar and does indeed look like a powder: http://2.bp.blogspot.com/_2a7NQN1ktR0/SyALmQSuyNI/AAAAAAAACNY/RzF3RhuLZwA/s400/powdered+sugar.jpg. did you just make the ganache in a regular pan or double boiler style?